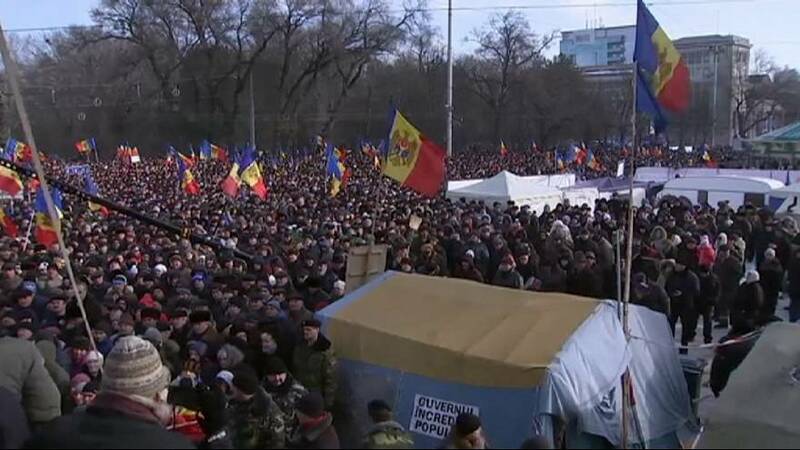 Thousands of pro-Russian and Pro-European demonstrators gathered in Moldova’s capital Chisinau on Sunday to demand the removal of the country’s latest prime minister and early elections. It is just days since Pavel Filip took office but protesters see him as part of the ruling elite that has been the target of anger since a huge banking fraud plunged the country into crisis last year. Moldova’s parliament appointed Filip last week in the hope of ending months of political stalemate after the previous government was toppled in a no-confidence vote in October. But protesters reacted by forcing their way into the parliament building to demand snap elections. Filip, a member of the main pro-European coalition, is Moldova’s third prime minister in less than a year. The repeated protests threaten to derail his chances of running a stable government, at a time when Moldova sees its economy sinking and is trying to negotiate new funding from overseas lenders, including the International Monetary Fund.